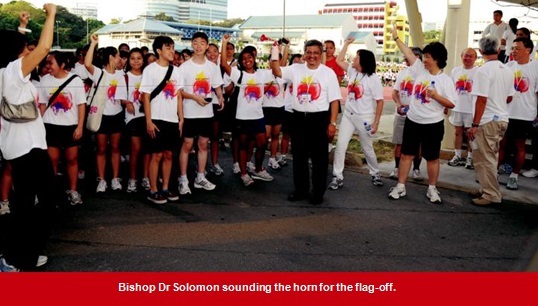 WITH WHOM DO YOU WALK?” Bishop Dr Robert Solomon put forward this question as he shared a meditation with close to 5,000 participants from Methodist schools and churches shortly before flagging them oﬀ on the MethodistWalk2011 at Anglo-Chinese Junior College (ACJC) on July 9. 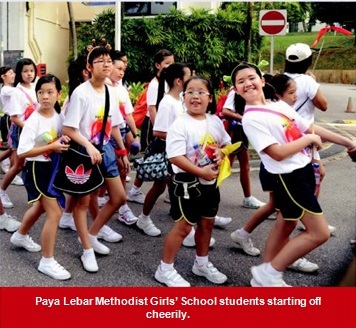 The biennial Walk, which was organised by the Methodist Schools’ Foundation (MSF), raised $1.2 million for the 15 Methodist schools in Singapore. 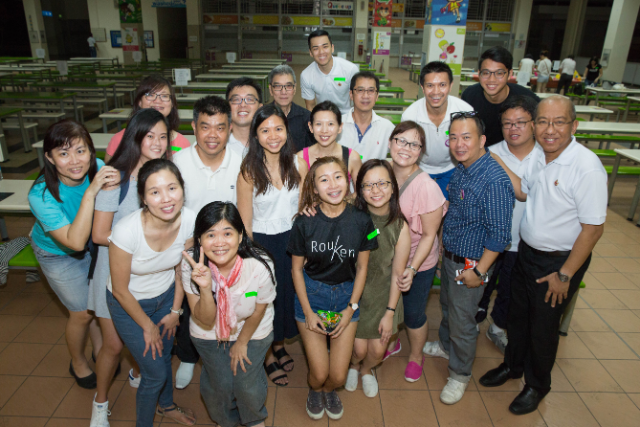 This year, Telok Ayer Chinese Methodist Church sponsored the Walk with a $100,000 donation. In contrast to the grey skies of the preceding week, the warm morning promised fine weather for the Walk as the participants assembled at the ACJC field. An excited chatter filled the air as the students streamed in and some church groups even began vigorous warm-up exercises on their own. Participants from 26 out of the 44 Methodist churches turned up in strong support of the Methodist schools whose students were out in full force. All were wearing the white T-shirt with a colourful flame-like logo that had been designed for the event. Mrs Joni Ong, the Chairman of the MSF, welcomed the participants and thanked the organisers and sponsors in her address. 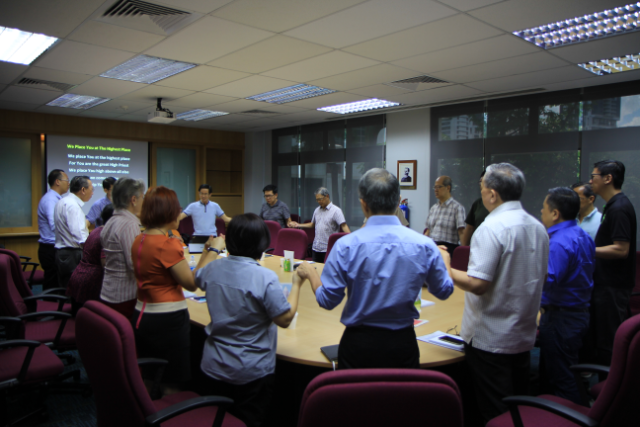 The Rev Kenneth Huang, Director, Ministry in Schools, led the morning worship with the harmonious accompaniment of a team from Wesley Methodist Church. The Bishop then addressed the participants from 1 John 1:7 and Psalm 89:15, encouraging them to “Walk together in the Light” – which was the theme of this year’s event. 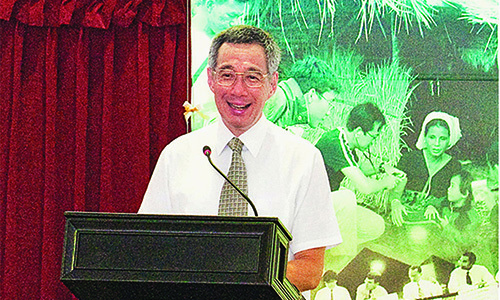 He commended the event as a “wonderful occasion to get together”, and for the Methodist schools and churches to experience their connectedness. He exhorted the participants to “praise God for His many blessings”, noting that “our Methodist educational mission is 125 years old”. 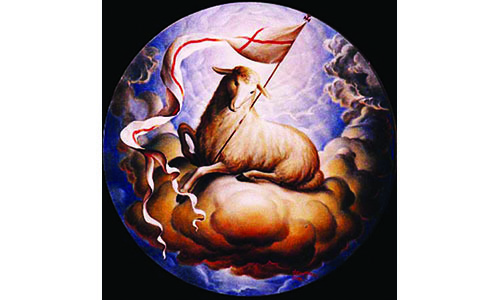 He cautioned the participants of the distractions of living in a fast-paced world, becoming so busy that “we do not spend enough time with God”. Yet, he pointed out that “the Bible describes godly people as those who walked with God”, and highlighted God’s promises of strength and comfort in Isaiah 40:31 and Psalm 23:4 for those who grow weary. The Bishop shared that “we walk in the company of friends”, and ruminated that “some of the strongest and longest friendships we have were formed in school days.” is Walk, he noted, also brought out the Wesleyan heritage that encourages Methodists to stick together as one family. Finally, he exhorted the participants to “walk through life with compassion”, being aware of those who are poor, needy and lonely. “We walk not just for ourselves, but for others as well.” He ended by encouraging those present to enjoy themselves and “remember the significance of our walking”. 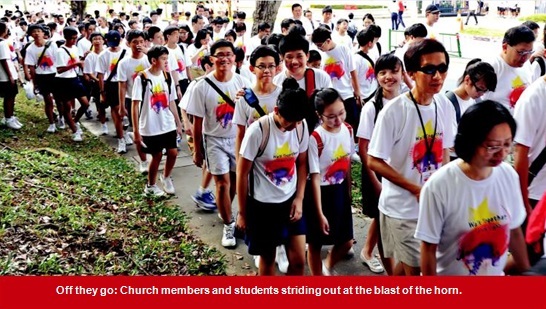 The ACJC Physical Education Department then led all the participants in a brief warm-up exercise, and the Bishop flagged oﬀ the Walk at about 8.15 am. The 4-km route wound along roads in the Dover Road vicinity, and the leisurely pace provided much opportunity for conversation, with some students breaking into song and even a few challenging each other to dash along short stretches. 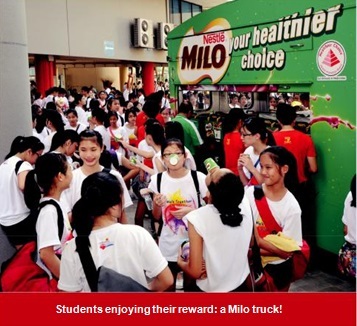 A shorter 2-km route was available for child participants, with all participants from both routes returning to ACJC where light refreshment was provided, and the students revived with ice-cold cups of Milo drink dispensed by a truck. It was indeed a warming experience, not only for the heart but also for the body – and the body of believers in the Methodist schools and churches.